It’s no secret that mobile is rapidly becoming the end-all-be-all in consumption. In fact, in 2015, nearly half of Google search traffic came from mobile devices. On average, Americans spend about five hours a day on their phones! Forrester calls this the “Mobile Mind Shift” — the expectation that you can get what you want, immediately, and in context. Seventy-seven percent (77%) of customers 18 to 24 years old use smartphones to contact customer support, and more businesses are moving to offering in-app mobile experiences. Right now, a gap exists between a company’s product and their ability to provide a great mobile customer experience. 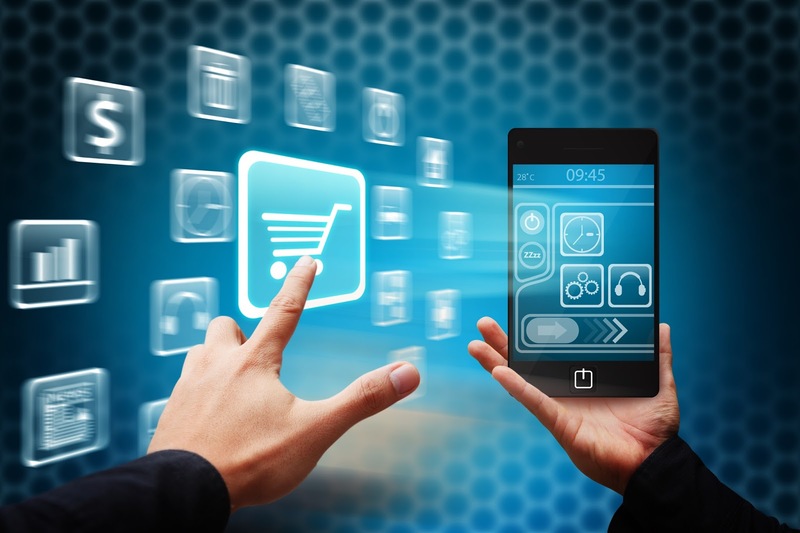 To keep users engaged, businesses need to understand what makes mobile commerce tick. What is the role of customer support in m-commerce? Mobile commerce (m-commerce) is much more than buying and selling products on mobile devices. One use case is messaging with customers directly in-app to resolve their issues in a timely and personal manner. More than any other vehicle, m-commerce is all about the moment. Often people mistakenly think of mobile as a channel. This presents a challenge for organizations, as they try to leverage existing support methodologies — phone, email, web — for mobile support. Mobile users don’t want to wait for an email reply, and they certainly don’t want to “tap and pray” (submit feedback and hope for the best). The demand for immediacy means businesses need to have processes and training in place to engage mobile users in the right place at the right time. Though customer service integration is nascent on mobile, the margin of error for companies’ customer service programs is increasingly narrow. With the proliferation of information surrounding customer experiences, such as Yelp and Google reviews, companies cannot afford to have poor customer service. They must provide support that is both timely and location sensitive. Any company that does not do this will quickly lose existing customers and fail to win new ones. Why do mobile-first businesses need to change? Providing great customer service via mobile apps cannot be an afterthought. Uber has changed the game by providing a simple and straightforward user experience, and recently, they realized the same needs to be done for the way the company handles a passenger experiencing a problem. Now, instead of emailing support@uber.com, passengers can report a variety of issues through the app. With the rise of on-demand services and mobile apps, consumers now expect near-instant responses. To address this, messaging will play a huge role, especially as messaging apps continue to rise in popularity. Customers increasingly rely on chat apps like WhatsApp and Messenger, with 990 million users and 800 million users, respectively. These messaging customers are also turning toward mobile retail and other on-demand services, and they’re expecting rapid resolution to their customer support queries. This is where mobile presents a unique opportunity to start the conversation and why messaging needs to be integrated within app interfaces. In-app messaging provides customers with a direct route for getting their issues and questions resolved, leading to increased customer engagement and loyalty. In turn, companies gain an edge in securing and retaining customers and increasing their market share.